More Hebrew letters (“Pay,” “Fay,” and “Final Fay”) are introduced, along with the correct pronunciation of the Hebrew word for a festive Jewish holiday, on this lesson of “From the Aleph-Bet” taught by Rabbi Mark S. Golub. Aleph-Bet 2 (5 lessons plus Rosh Hashanah and Passover episodes) for each minimum $54 donation and Aleph-Bet 1 and 2 for each minimum $234 donation. 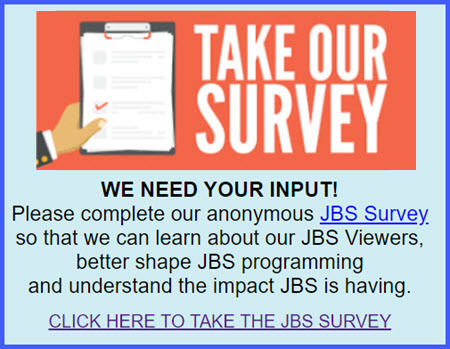 On the JBS website, please on DONATE to view your options.